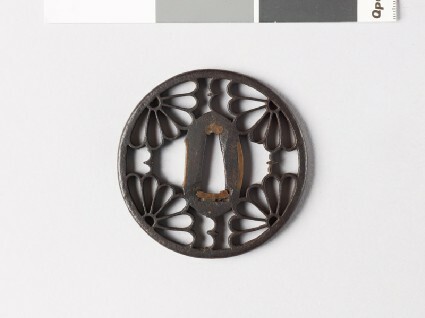 Fine openwork; the seppadai and narrow rounded border united by four voided half-kikumon (chrysanthemum badges) set saltire-wise, with four small karigane between them. Ernest Hart Collection, no. 4.